Introducing the new EZ Kayak Launch by EZ Dock. The EZ Kayak Launch is the quickest, easiest way to reconnect with the nature you love. Whether you have the whole day ahead of you or just a few minutes to spare, this launch system provides security and stability to both seasoned veterans and novice kayakers, getting them into the water faster and more often than ever before. Most Dependable Fountains Inc. introduces the first of its kind—a stainless-steel kayak/surfboard/paddle board rack. This new design, Model 1010 SMSS, comes standard with a metered hose bib. Perfect for rinsing off sporting equipment before storing it. A must-have accessory for beaches, lakes and rivers. Available in 17 different colors. The Trippo™ is the world's largest inflatable waterslide, designed on the same scale as attractions in theme parks and waterparks. This incredible product sets a whole new standard for the entertainment industry and is soon to give permanent waterslides a run for their money. As a temporary structure, The Trippo™ provides a unique opportunity to tap into markets that have always been off limits and have proven to generate tremendous amounts of revenue. The right waterfront design can create infinite possibilities. Commercial Recreation Specialists take the approach that it's really about what you need. From swimming lanes or fishing spots to kayaks and pedal boat access, Commercial Recreation Specialists will design a solution that will make the most of your water. Incorporating a modular PolyDock system is an easy way to expand beyond your shoreline to maximize space potential while providing safe, stable water access. American Muscle Docks and Fabrication has manufactured a new Kayak Launch Dock that is perfect for mounting beside a stationary dock in order to create an easier and safer way to enter and exit your kayak, canoe or paddle board. Kayak kit comes with low-profile 8-inch float drums, aluminum sub frame, aluminum grab rail, wood runners for decking and sub water plastic roller assembly. Featuring a modular design and multiple layout options, commercial dock and launch systems can be customized and built for your specific waterfront needs. With optional transfer station, ADA curbing and handrails, these systems meet commercial and municipal quality standards. The launch dock systems can be used as an independent launch, as a complete floating dock system, integrated into existing systems or in conjunction with any of The Dock Doctors' floating dock systems. 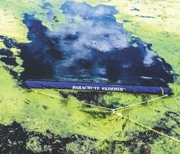 The award-winning Parachute Skimmer™ water cleaning tool is a 5-foot wide hand-operated skimming device that cleans the surface and subsurface of any water body easily, efficiently, without chemicals. It was even used in the Gulf Oil Spill. The 'push-broom' that you pull through the water clears a 5-foot-wide swatch with every sweep. The patented design traps the captured debris as it is lifted out of the water for easy removal. Used worldwide on pools, ponds, lakes, waterparks and marinas, it is available at Lincoln Commercial pool products and specialty pond retailers. Willoughby Industries' outdoor foot shower is the perfect solution for beaches and pools. Constructed of heavy-duty type 304 stainless steel or optional marine-grade type 316 stainless steel for installations near salt water, these showers are built to last. Each fixture can be constructed with one or two shower heads and painted in one of 11 striking colors. Willoughby's foot shower can also save water and money. Instead of an always-on hose to rinse feet, the shower contains a metering valve.